Storm Ali has hit Ireland and Northern Ireland, Scotland, northern England and parts of north Wales, bringing delays and cancellations across road, rail and air services. Dublin airport has confirmed many flights have been cancelled, with more cancellations expected to be announced throughout the day. Aer Lingus has advised customers to check the status of their flight before travelling to the airport, as some services have been cancelled and more may be axed later on depending on conditions. The storm has now reached Scotland, with Glasgow airport reporting several flight cancellations and all trains in and out of Glasgow Central station cancelled. 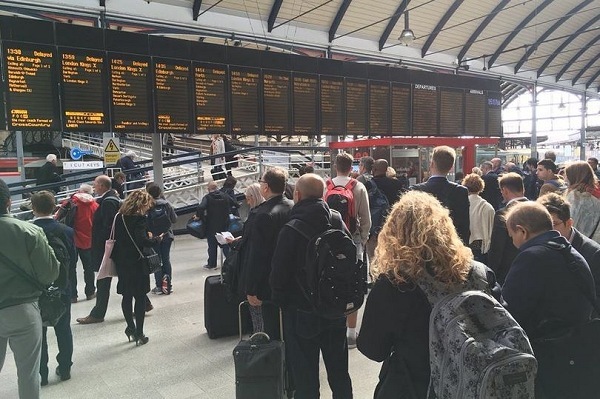 Scotrail, London North Eastern Railway and Transpennine Express are advising all passengers not to travel unless necessary, with several routes closed due to fallen trees and debris on the lines. Trains are currently unable to run between Preston and Glasgow/Edinburgh. Debris on the railways is causing disruption across the country, including in London. Elsewhere, the M6 is closed between junctions 43 and 44 after a lorry was overturned by strong winds. National Rail warns that other services may become disrupted due to Storm Ali’s high winds.